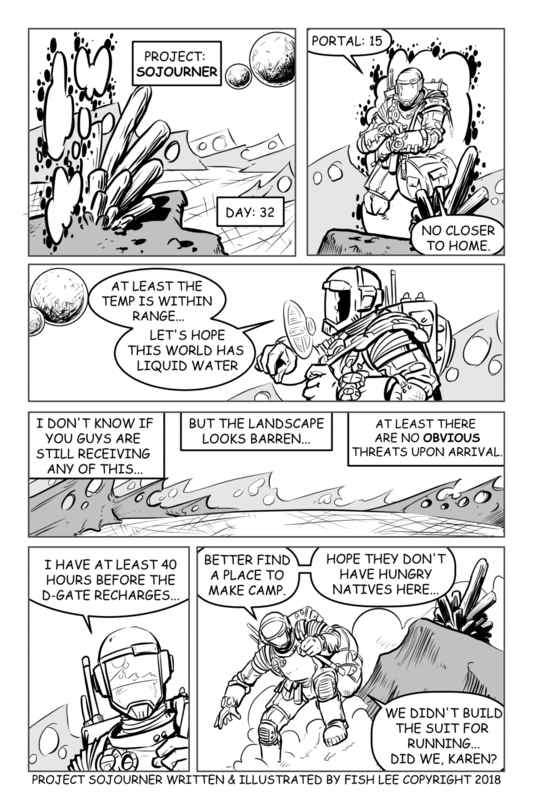 New pages of Project: Sojourner wil be published every Monday morning until the story is done. Nice work, Fish!! Continue to Aspyre! !